Willem Benjamin Vosloo was born on 4 November 1934 in the Empangeni district, Natal. After completing his schooling in Vryheid, he attended the University of Pretoria where he majored in political science and economics taking BA and MA degrees with distinction. In 1965 he completed a PhD degree in the USA at the School of Business and Public Management, Cornell University. Thesis:Collective Bargaining in the US Federal Civil Service (Published by Public Personnel Association, Chicago, 1965). On his return to South Africa, W. B. Vosloo began his long association with the reform process in the fields of constitutional change, educational reform and economic development. For 15 years he served as Professor of Political Science and Public Administration at the University of Stellenbosch . Inter alia he was a member of two direction-setting commissions: the Erika Theron Commission on constitutional reform and the De Lange Commission on educational reform. He published widely in academic and professional publications in the fields of management science, political science and development issues. He held office as a founding member of a number of academic and professional associations, such as the SA Political Science Association, the S A Institute for Public Administration and the SA Institute of International Affairs. 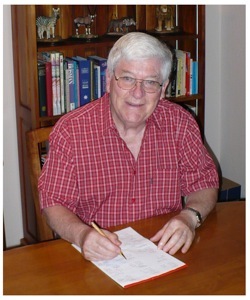 W. B. Vosloo has received several meritorious scholarships and academic awards. He started his "second" career in 1981, when he was appointed founding Managing Director of the newly formed Small Business Development Corporation. He steered the SBDC to its unique position of prominence as a private sector- led development institution (1981 to 1995). In recognition of his work, W. B. Vosloo was made Marketing Man of the Year (1986), Man of the Year by the Institute of Management Consultants of Southern Africa (1989), given the Emeritus Citation for Business Leaders by the Argus Group (1990), the Personnel Man of the Year by the Institute of Personnel Managers (1990), was named as one of the Business Times Top Five Businessmen (1993) and, by "Beeld", as one of South Africa's Top 21 Business Leaders of the past 21 years (1995). He was awarded an Honorary Doctorate by the University of Pretoria in December 1995. 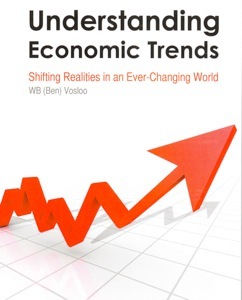 In 1996 Ben Vosloo started his "third" career. He initially served as a business consultant on strategic policy matters and later became involved in export marketing in the USA, Canada, Europe and Asia. He obtained permanent resident status in Australia in the category "Distinguished Talents" and eventually became an Australian citizen in 2002. He is now retired and resides in North Wollongong, NSW. 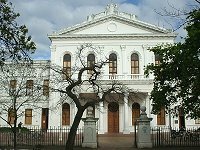 The Old Main Building is the oldest academic building of the University of Stellenbosch. 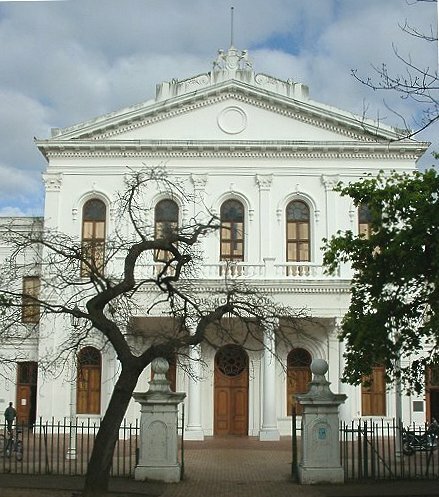 When Stellenbosch celebrated its bicentenary in 1879, the public felt the need to erect a monument in commemoration of the event. ... it was decided to build a large and stately new college building -an indication once again of the vital role assigned to education by the leading villagers of the time.